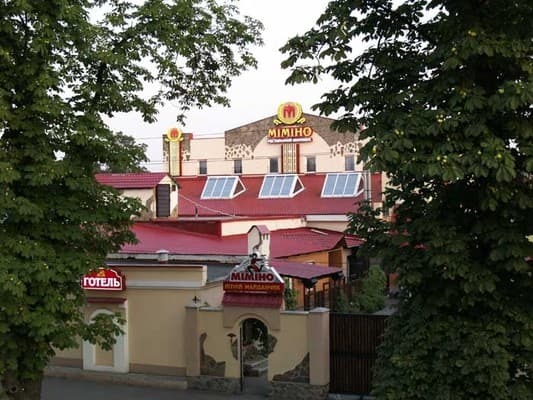 Hotel and restaurant complex "Mimino" is located near the city center, on one of the main roads, leading toward Sumy. The hotel offers eight comfortable rooms with all amenities. 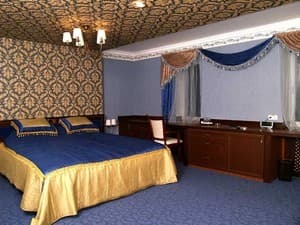 Rooms are equipped with air conditioning, LCD-TV, mini safe, refrigerator, telephone with direct city-connection, free Wi-Fi. Parking is available. Complex "Mimino" was opened in 2009 along with same-named restaurant with a good reputation that will surprise you with luxurious rooms, pleasant atmosphere, live music and exquisite interior. Distance from the train station “Yuzhniy” is 7.3 km, from Kiev train station - 200 meters. Description of the room: One room with a total area of ​​15 sq.m. The room has a double bed, bedside tables, armchairs, desk lamp, radio, wardrobe. The price includes breakfast for 1 person. Breakfast for 2 people is paid extra (70 UAH). Description of the room: Two-room suite with a total area of ​​24 sq.m. In the room there is a double bed and a chair-bed, bedside tables, armchairs, a desk lamp, a radio, a wardrobe. The price includes breakfast for 1 person. Breakfast for 2 people is paid extra (70 UAH). 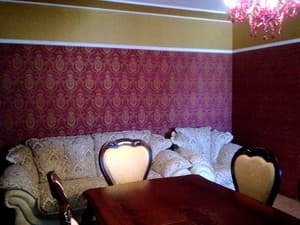 Description of the room: One room with a total area of ​​25 sq.m. The room has a double bed, bedside tables, armchairs, desk lamp, radio, wardrobe. The price includes breakfast for 2 people. Description of the room: Two-room suite with a total area of ​​26 sq.m. In the room there is a double bed, bedside tables, a dining table for 6 people, an armchair, a folding sofa, an LCD TV in each room, a radio, a wardrobe. The price includes breakfast for 2 people. 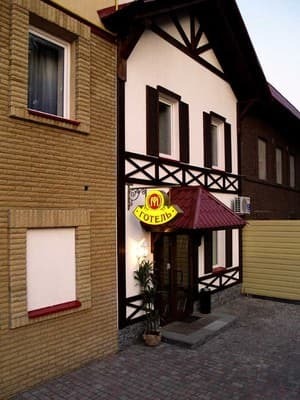 On the territory of the hotel there is a restaurant, the menu includes dishes of both Georgian and European cuisine. The area of Kiev train station, near the city center. The complex is located 200 meters away from the Kiev train station; you can reach the hotel by trolleybus № 1, 4 from train station “Yuzhniy”.